Flexgate – a new MacBook Pro Problem? I don’t like to use that word, but since people are searching for it I guess I have to … flexgate. Apple may have a new big problem on their hands. That said, it could also be blown out of proportions. As it sometimes is with these issues. 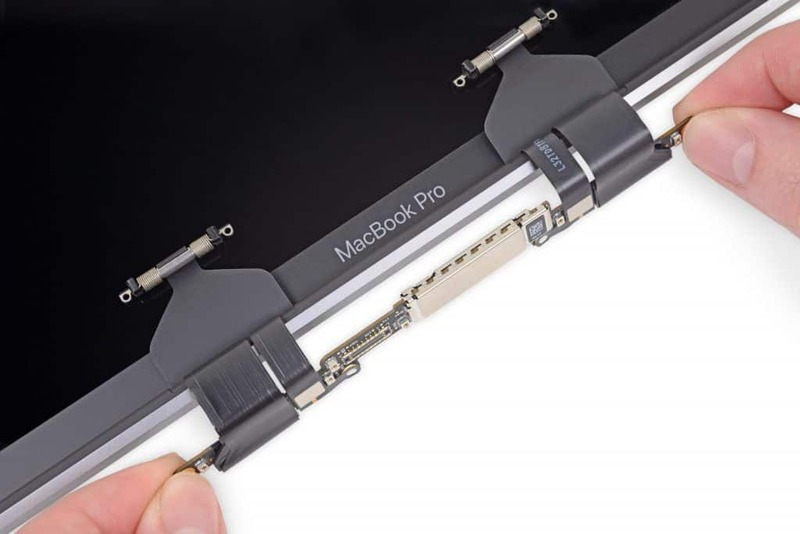 The popular teardown site ifixit have recently posted an blog article claiming that the new MacBook Pros flex cables wears out prematurely and it could cause display problems. Especially if the display is opened above a 40 degree angle. This is where the word flexgate comes from. A stupid word if you ask me, but the «flex» part relates to the cable that connects the display to the logic board. Its a thin and brittle cable that apparently breaks over time. If you need to fix the display outside of your warranty period you are looking at 600 USD repair (at best) because those cables are integrated into the display assembly and doesn’t come as a single part. If Apple doesn’t release a repair program as they did with the “staingate” issue. Adding this problem to already existing issues makes you wonder if the radical design-change of the USB-C equipped MacBook Pro really was a smart move? I know for a fact that a lot of people still hold onto their 15 rMBP. Imagine the performance you could have in those machines today if Apple just kept the same form factor and instead focused their efforts on improving performance. Countless reports of keyboards having all sorts of issues with keypresses. Apple happily replace the top-case but the problem re appears after a while. What about those that live in countries with poor consumer protection? In worst case they have to expect an expensive service later down the line. Servicing a premium product already marked up pretty high. And only after one year. These laptops are so thin, the cooling solution just isn’t equipped to remove the heat these CPUs produce. Even if Apple shoehorn a top tier CPUs in these machines it doesn’t matter if the cooling solution isn’t up to the task. This has been demonstrated countless times in many Apple products. Especially when the updated model with an intel i9 CPU hit the market. It did throttle so bad that Apple had to release a firmware fix for it. But not before countless people had reported on the issue. Do you think this is an issue that is blown out of proportions, or is there some substance to it? Are you affected by this? Leave your thoughts in the comments.